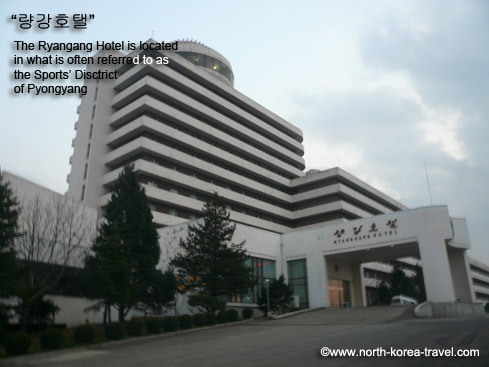 Built in 1989, the Ryanggang Hotel is a first-class hotel in Pyongyang. 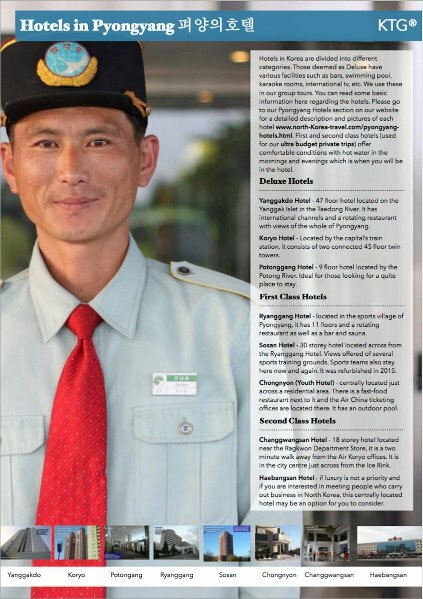 Please note that the top level hotels are the deluxe standard hotels. It has 11 stories and 330 rooms. 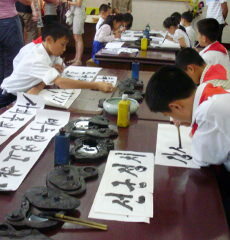 The Ryanggang located is quietly located in the Sports Village in Mangyongdae District, where the Taedong River and the Pothong River meet. The hotel is on a hill overlooking both rivers and Sosan Football Ground, an it is five minute drive to the city centre. As you enter the hotel you will find a large lobby covered in marble, and lit with colourful fluorescent lights at night. Behind the front desk you will see a large world map on the wall showing a unified Korea in red. 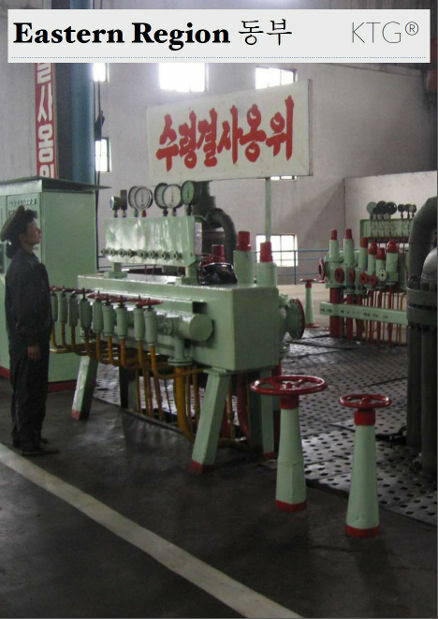 Re-Unification is a predominant theme in the DPRK and in the lives of North Koreans, something that you will clearly see this when travelling there. In the entrance hall there is a bar, restaurants, a clothing shop, a gift shop and bookshop. 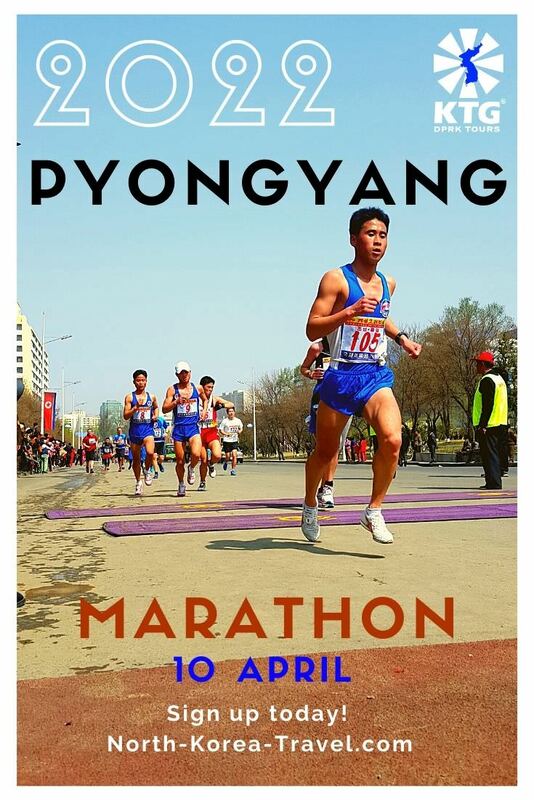 Here you will be able to find a good variety of books about the DPRK's history as well as biographies of the Great Leaders in different languages. There is also a rich collection of Korean movie DVDs. The price of North Korean souvenirs here tends to be slightly cheaper than in the city centre, so if you are going to buy some souvenirs this is a good place to do so. Other entertainment facilities include a sauna, a huge karaoke room, a small movie theatre, a billiards room, a ping pong room and a rotating restaurant on the top floor. Rooms are relatively spacious, with two single beds, a bathroom and a small sitting area, a balcony and heated floors. Most beds are Korean style. This means that the mattresses are very thin, to which many foreigners might not be used to. If you want a mattress you should request it at the front desk or ask one of your guides. 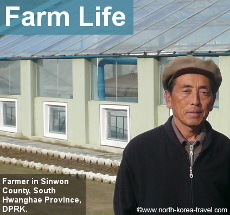 Rooms also have a TV with local Korean channels, a fridge and a kettle. There is hot water in the morning and evenings but there can be shortages during the day. 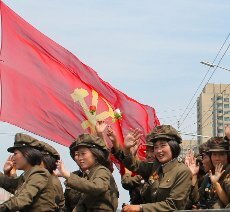 Please note that you will be travelling around North Korea in the daytime. Apart from the restaurant by the lobby there is also a rotating restaurant on the top floor. Western breakfast serves bread / toast with butter and jam, eggs and coffee as well as other beverages. Staff both in the hotel and the restaurants are extremely friendly. 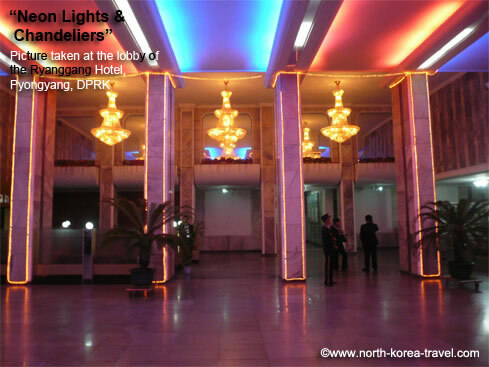 Please check our Pyongyang Hotels section to see other hotels in the capital of North Korea other than the Ryanggang Hotel or go to our North Korea Hotels page for an overview of hotels in North Korea.